If you are planning to travel to Vietnam, then knowing about transportation in Vietnam is a necessary thing to consider. Not known for modern conveniences, Vietnam actually has a variety of transportation methods. Transportation in Vietnam is rather hassle-free. Many people do not comply with regulations, particularly in rural areas. It is rather common to ride on sidewalks, bans or even one-way traffic. Except those famous, large centers, there are often comply with regulation. However, do not worry as there you will not see a lot of accidents. In fact, the war in Vietnam has a strong influence on the current transport infrastructure of Vietnam. Many railways as well as roads were damaged during the war. Despite it has long been, up to now there are traces. In Vietnam, roads are not particularly in remote mountainous regions in good condition. Nevertheless, this situation is day-by-day changing and there are many roads built and repaired now. When it comes to transportation in Vietnam, there are a few main types of transport methods, which are taxi, train, bus, motorbike, bicycle, car, airplane, and cyclos (xích lô). In this article, we will give you detailed information about each type of transport methods in different areas of Vietnam, mainly in Hanoi (Hà Nội) and Ho Chi Minh (Hồ Chí Minh) city. Taxis now become popular in Vietnam with many official and unofficial companies. Taxis with meters could be found in most main cities. The prices are cheap by international standards. It is considered as a safe way to travel around, particularly at night. The average tariffs are from 10,000 to 15,000VND per kilometer. Nevertheless, dodgy taxis associated with go-fast meters may do the roam of most streets in Hanoi and Saigon (Sài Gòn) and they usually hang around bus terminals. Just travel with recommended and reputable taxi brands if you are not familiar with transportation in Vietnam. 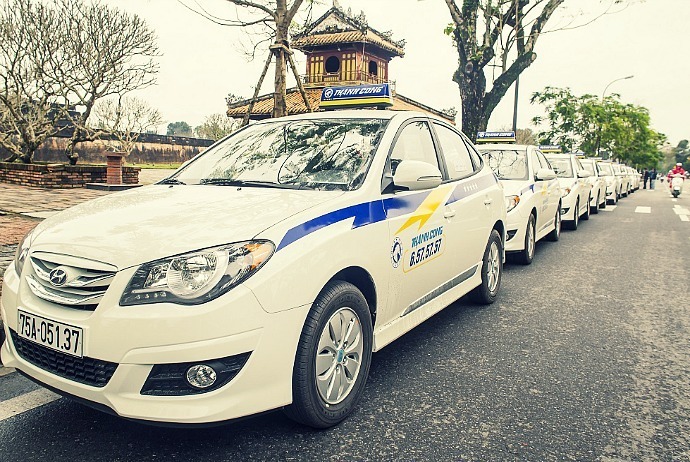 Taxi services in Vietnam could be divided into 2 major types: official and unofficial taxis. Official taxis are those taxi corporations who have high quality at a reasonable, standard price. They are safe, apparent, and credible in calculating fee and also somehow cheaper. Unofficial taxis often belong to those individual drivers. This kind of taxi is not good in terms of quality and services, unreliable and somehow vague in terms of fee calculation. The safety of such taxis is not warranted by official brands. There are some reputable brands of taxis in Vietnam that should be in your checklist of transportation in Vietnam, which are Mai Linh taxi and Vinasun. Vietnam is among the few countries in the world where motorbikes are still used widely. In Vietnam, motorbike or scooter is the most commonly used means. Probably, you will make use of the services of taxi, train or bus services. However, if you consider using motorbikes, then watch out for the road making. In Vietnam, some small roads could be displayed as highroads, yet when getting there, it could be very hard passable dirt road, particularly in those remote areas. Normally, the best and also cheapest option for transportation in Vietnam is renting or buying a motorbike. The rent cost is from 8 to 15 USD per day. You will see a lot of motorbikes along with confusing chaos in Hanoi and Ho Chi Minh city when traveling around. Motorbikes rides even in the opposite direction, along the pavements or bans, so be careful. In case you do not want to drive yourself, then you could ask someone with motorbike to help you, also known as motor-taxi (xe ôm). There are plenty of motor-taxi drivers hanging around the street corners, hotels, markets, and bus station in Vietnam. Normally, they will find you before you actively finding them. In Vietnam, it is required to wear a motorbike helmet when traveling around by motorbikes. Because traffic in Vietnam is unpredictable, so you should check the traffic situation right in front of you carefully. If you are brave enough, the experience of a motorbike adventure to mountainous area might be a good way to enjoy Vietnam. In those mountainous regions, you had better rent a motorbike with the more powerful motor and don’t forget to bring a plastic bottle filled with reserved of petrol to prevent there is no gas station for charge your vehicle. Bus travel is considered as the most common form of overland travel. It is not recommended if you are not just traveling a short distance. There are a variety of types of buses of various companies: city buses, minibuses, tourist buses, long-distance night buses. The buses in Vietnam can run almost everywhere with the exception of the mountain areas. Some buses have good condition and night buses are comfortably adapted for lying. However, seats of buses in Vietnam are rather small and the conductor might try to assign more than just a person to one seat. If you must use this means to travel around, then you should make sure that you book with a prestigious, high quality tour company catering to tourists carefully. Many top end bus tours supply tours around the big cities for tourists. Oftentimes, buses in Vietnam are failed to comply with the exact departure / arrival time. The bus systems in 2 major cities of Vietnam, Hanoi and Ho Chi Minh City, are impossible to negotiate. You should get your hands on the bus map. 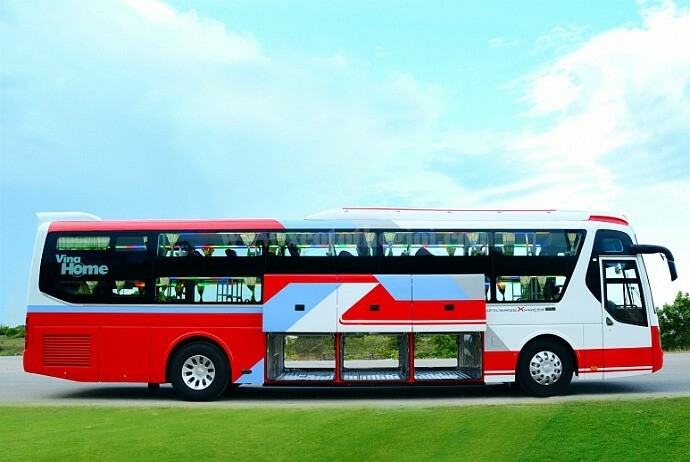 If you want to hob nob with other tourists and want to have a cheaper rate in touring around the big city like Saigon, and other areas such as Mekong Delta, Cu Chi Tunnels, Cao Dai Temple, then you should opt for big tour buses. 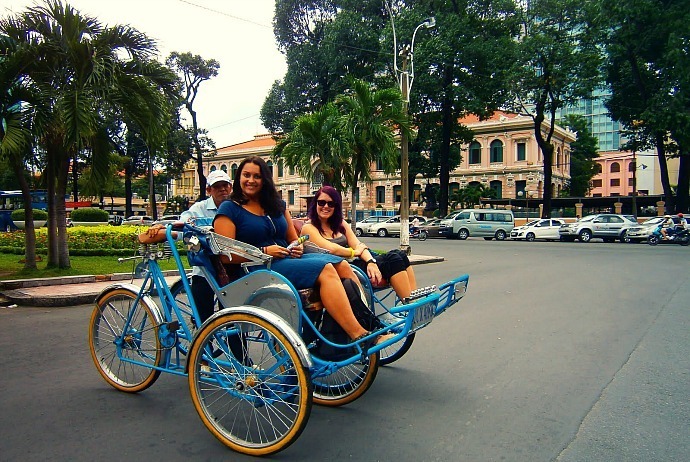 The majority of tour companies in Saigon offer both private cars and big tour busses for touring around. The biggest tour operator in Saigon is named Saigon Tourist and you could book your desired tours through the hotel lobbies of the partner hotels. In case you see the logo of Saigon Tourist in a building, it means that they have an available help desk where you could book tours. The trains in Vietnam have been extensively renovated and are relatively safe and cheap option when it comes to transportation in Vietnam. In general, Vietnamese trains are clean but too not fast. Some are not comfortable with hard seats. However, it seems that Vietnam does not have a large network. The best option when using train to travel around Vietnam is to buy tickets in the official station. There are a few types of seats and berths of Vietnamese trains, including hard seat, soft seat, hard sleeper, soft sleeper, 4 berths cab, and 2,4,6 berths cab. It is said that trains are the best mode of transportation in Vietnam to travel around. The air-conditioned trains of Vietnam are comfortable, safe, and inexpensive. Using this vehicle is an ideal way for those independent tourists to travel around and see Vietnam at the ground level. Some inexperienced travelers may think that they will save time much better by using internal flights. Yet, in reality, an overnight train from Hanoi (Hà Nội) to Danang (Đà Nẵng) or Hue (Huế) actually saves time in compared to flying, as the train will leave Hanoi city centre in the evening and then arrives in Hue in the next morning. More than this, using train to travel will bring to you a genuine Vietnamese experience while flying is not necessary. 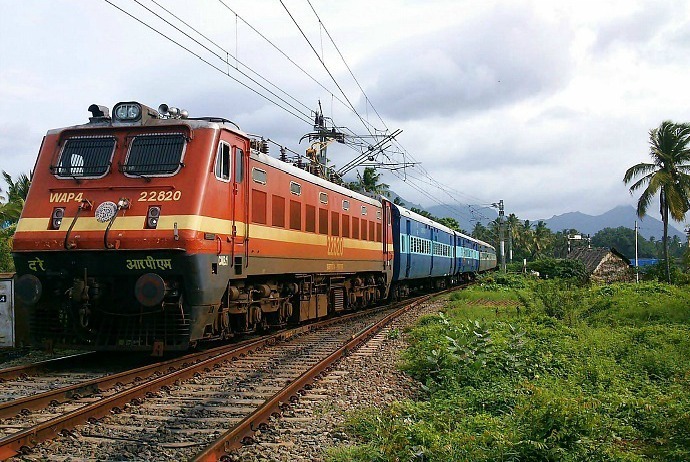 If you are wondering whether or not you need to book train ticket in advance, then here is the answer. Booking opens about 60 days before the official departure, and sometimes 90 days before the departure. The peak periods like Vietnamese new year – Tết, between late January and February, you should book as soon as possible but it is often not hard to buy tickets at the station at other times of the year. It is rather easy to rent a car in Vietnam. The required papers include driving license and your passport. Normally, agencies for car rental will ask you for international driving licenses in case you do not have a Vietnamese driving license. They may accept the driving licenses of your country in common languages like French and English. These licenses could be copied and kept by those agencies for reference. After you sign the contract of rental, you will be required to pay some money as deposit by the agencies. This can be from 50 to 100% of the total cost of that contract or the exact pre-determined cash amount. The majority of car rental agencies in Vietnam are situated in big cities, including Hanoi and Saigon where the need for car rental is rather significant. In compared to other forms of transportation in Vietnam, car rental is rather expensive in terms of cost. This is majorly because of the affordable as well as available public transportation system running within and between Vietnamese provinces. The fee for car rental is from 500,000 VND to 10,000,000 VND each day (from $25-500), basing on the kind of car you opt for and how luxurious and facilitate it is. 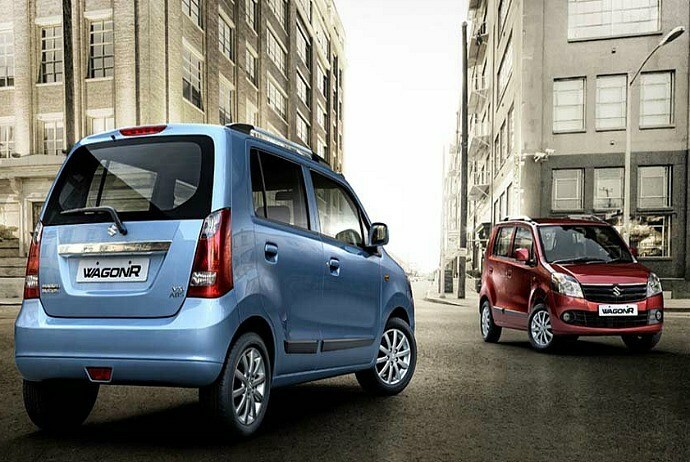 Also, there are various kinds of cars for tourists to opt for, yet the most common type is the 4-seat and 7-seat cars. Clients are completely responsible for fuel cost, which is a relatively high in compared with the living standard of Vietnamese people. Payment for renting car is often made in cash right directly to agencies. Tips on renting a car in Vietnam: The first thing you need to be aware when renting a car in Vietnam is its quality. Rental cars are often used by unprofessional drivers so many times and most of them have the thought that “It is not my properties so I do not have to care for it carefully”. That is why you should check the conditions of the car before renting it. That will help you avoid potential accidents as well as unexpected dramas. Besides, spending time on coming to agencies’ showroom in order to find the best car that matches your demand is a good idea. Another thing to be aware is the chaos of transportation in Vietnam. The fact is the traffic in Vietnam is complicated which could intimidate even the most careful and skilful drivers. Thus, driving a car in Vietnam could be very challenging. The buzz of many motorbikes along with other cars may make the matter even worse. If you do not feel really confident in your own skills of driving, then hiring a chauffeur from the famous agencies is a smart option as many agencies offer drivers associated with the rental cars. Moreover, those local drivers seem more familiar and experienced with the places and locations, so you can reach your intended destinations much faster and safer. Airplane in Vietnam is usually used only about departure and arrival, or crossing to the south – Saigon (Ho Chi Minh City) or to some neighboring countries. A requirement for foreign travelers is a need of passport with a least six months validity to enter Vietnam. The majority of foreign travelers enter Vietnam on a tourist visa. This visa must be issued before arrival. A typical visa is valid for 30 days. Basing on the consulate that issues that visa, it starts to expire from the day it issued. Hence, it is a great idea to get your visa as close as you could to your planed arrival date. 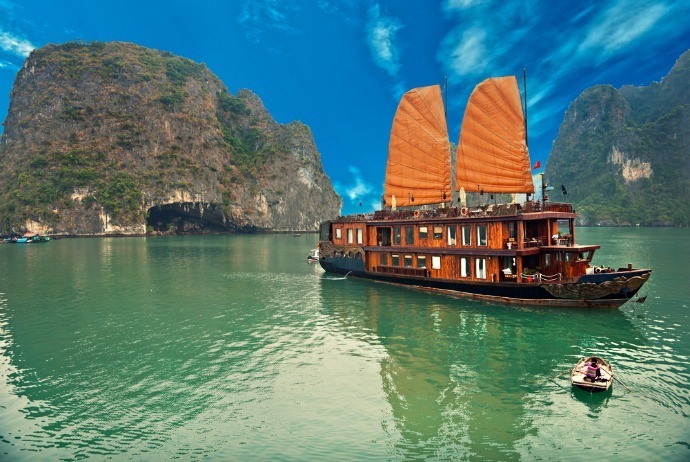 The extension of Vietnamese visas is completely possible when you are in Vietnam. Tourists from Philippines, Laos, Thailand, Indonesia, Malaysia, and Singapore do not require a visa in case they plan to stay in Vietnam no longer than 30 days. For those from Denmark, Japan, Finland, Norway, Sweden or South Korea, it is not necessary to have a visa if they plan to stay in Vietnam no longer than 15 days. 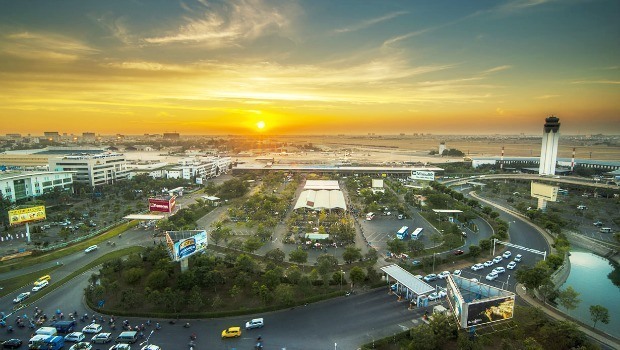 Vietnam has two main international airports, which are Noi Bai airport in the capital – Hanoi, and Tan Son Nhat Airport in Saigon. The third airport is Da Nang Airport located in Da Nang that accepts a smaller number of international flights. Besides, there are a dozen of other domestic airports scattering across Vietnam. 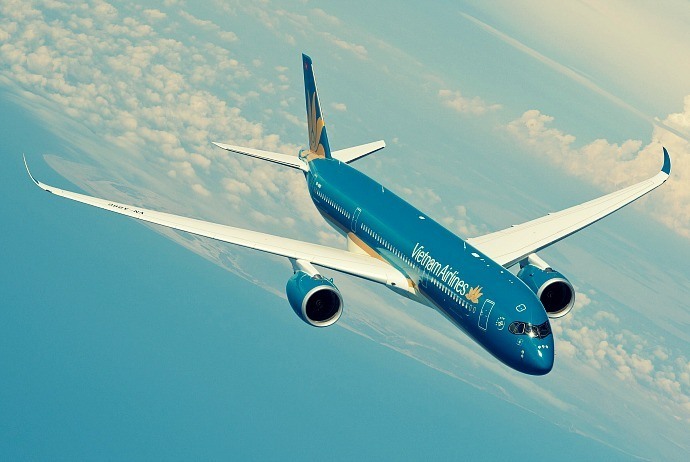 Vietnam Airlines is the national carrier of Vietnam. The brand has a comprehensive domestic as well as growing network. In addition, Jetstar is the second domestic carrier having a more limited network in compared to Vietnam Airlines. Jetstar is often cheaper than Vietnam Airlines yet it also means that the quality of service and timeliness is not as good as Vietnam Airlines’. If you are not in a rush and own a mobile, then they might text you with details of some delays. Its delayed flights may be not rare. Besides, there are other brands when it comes to airline brands in Vietnam, which are VietJet (slightly cheaper than Jetstar) and Air Mekong with less popularity. When considering using airplane to travel around Vietnam, you may have a question that if you should book your flights in advance or when you get to Vietnam. Well, the answer will depend on the time and place you want to fly, how your budget is and how flexible your own flight times are. Yet, if you can book in advance, there is a benefit that can be denied is that you will have a chance to bag a deal. With online booking service, there are a lot of choices for you to opt for and booking advance is also easy. Most of the flights booked online could be amended, of course with a price, yet at least you will not miserably be stuck with the flight that you could make use of. Don’t forget checking the booking conditions of the airline and type of flight you choose before booking. If you do not mind to wait till you get to Vietnam, you may get a better price. 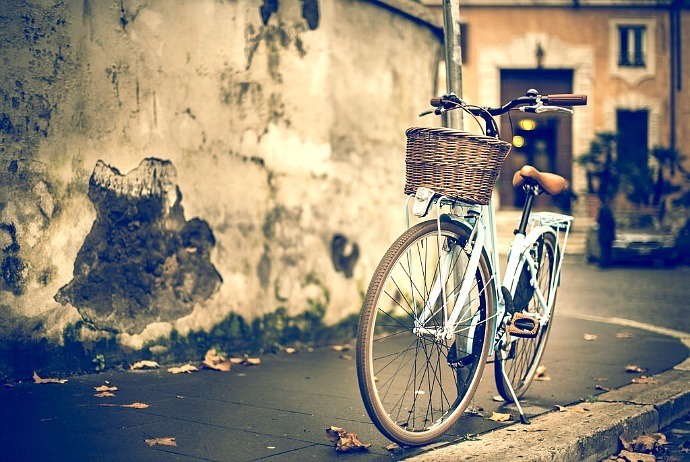 Bicycle is the simplest vehicle of transportation in Vietnam. Many foreign tourists said that this is the only vehicle that they would be able to operate in Vietnam when they were visiting this country for first time. Seeing beautiful girls in the traditional costume “Ao Dai” riding their bicycles will not fail to get you excited. Actually, Vietnam could be a great destination for those cyclists. This may be one of the most favorite methods of transportation in Vietnam among international tourists when visiting Vietnam. Sitting on the little cart when the driver paddles behind will bring to you a relaxing feeling. Nothing can beat the feeling of sitting on a cyclo and strolling around the lakeside on summer nights. It is not necessary for you to worry about the traffic or running out of gas or hugging around the smelly driver. Because of new traffic regulations, these simple but symbolic vehicles have recently been forbidden in a few streets in Hanoi and Saigon. This environmentally friendly method of transport despite is cheap but steady dying out. Groups of cyclo drivers, however, always hang out close to some main markets and hotels and a lot of them could speak English, at least the simplest level. In order to make sure that the driver understands your intention of place to go to, it is a good idea to bring a city map. Bargaining is necessary. You had better settle on a certain fare before going to anywhere otherwise you will be get stiffed. When it comes to transportation in Vietnam, this special mode is a common option in the Mekong Delta, where tourists could travel in both freighters and tourist boats for longer and short-haul trips. The former could sometimes be comfortable and sometimes less, the latter are comfortable. Boat transport is slow and seems to be more popular in the northern area of Vietnam. Generally, boat travel is more expensive than bus travel over a single route. This may be not popular regarding to transportation in Vietnam nowadays. If cyclo normally has the driver paddling in its back seat, Pulling Cyclo, also called in Vietnamese as Xe loi (Xe lôi), has the driver paddling right in the front. This version of cyclo actually was modified from the classic pulling cart of China. Rather than having the coolie running while pulling the cart, Vietnamese people were creative by attaching a bicycle right to the front of the cart. This kind of transportation tends to be more common in the Southern area of Vietnam than in the Central or North. In conclusion, transportation in Vietnam is quickly improving in terms of quality and quantity. If you travel a long distance from one place to another, then buses, airplane from the credited travel agencies along with train are much safer options. If you have any contributing ideas about this guide of transportation in Vietnam here, feel free to drop your words below this post. We appreciate and will respond as soon as possible.